You may have a very good test management process and tool to ensure the effectiveness of your testing. However, test management alone will not ensure customer satisfaction. Total Quality Management is a way to not only deliver high-quality products and services but to achieve higher customer satisfaction levels. In this post, we have covered the definition of quality management, its importance, the concept of total quality management, quality management principles, quality management example and the tool for comprehensive quality management. To maintain the desired level of excellence in any project, we need to monitor all the activities and tasks. Quality Management is the act of achieving a benchmark level of quality through formulating a quality policy, quality planning, quality assurance and quality control for quality improvement. Quality management ensures that there is a high quality of products and services delivered. As every product or service rendered is subjected to a thorough quality assurance process to ensure the outcome is reliable and durable. Quality management ensures customer satisfaction as the product and services delivered aims to exceed the expectation levels of the customer. This eventually leads to customer loyalty. Quality management increases efficiency and productivity that positively impact the revenues for a company. The success of quality management initiatives depends on teamwork. Therefore it breeds team spirit within an organization. At times, quality management is also referred to as Total Quality Management. 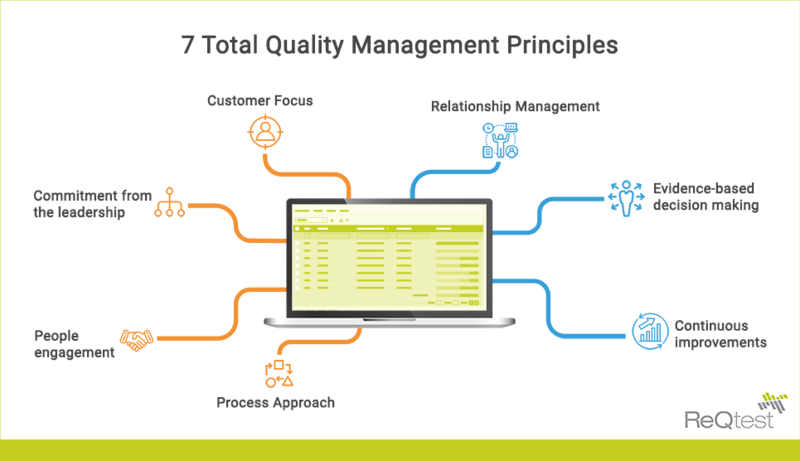 Total Quality Management is a process to ensure that all work aims toward the common goal of improving product quality or service. TQM also enhances the production process or process of delivering service. However, in TQM the emphasis lies on fact-based decision making which uses performance matrices to monitor progress. Quality management process aims to meet customer requirements and deliver beyond expected levels of product or service. The leaders at all the levels of hierarchy help to establish a unity of purpose and direction. The leadership is responsible to create a conducive environment so as to achieve the quality objectives of the organization. This principle states that all the people in the organization must be competent, empowered and engaged in delivering value. This also enhances the capability to create value. All the activities should be managed as interrelated processes to create consistent and predictable results. These interrelated activities function as a coherent system. An ongoing focus on improvement is a fundamental principle for the success of an organization. The decisions are based on the insights gained from analyzing and evaluating data. This will help to produce desired results. Organizations should manage their relationships with interested parties such as suppliers very well. This will help to sustain the levels of success achieved. One of the most famous examples of quality management is Toyota. Toyota implemented Kanban System to make its assembly line more efficient. The company decided to keep just enough inventories to fulfill customer orders as they were generated. ReQtest is a quality management tool with Test Management, Requirements Management, and Bug Tracking modules. It helps to establish a process to monitor all the activities and tasks to ensure a high quality of the process is in place to release great software. Explore the capabilities of ReQtest as a quality management tool, signup for a free trial today. Total quality management drives customer satisfaction by ensuring that consistent delivery of high-quality product or services is in place. For achieving results beyond customer expectations, you need to implement an effective quality management process for your testing team. 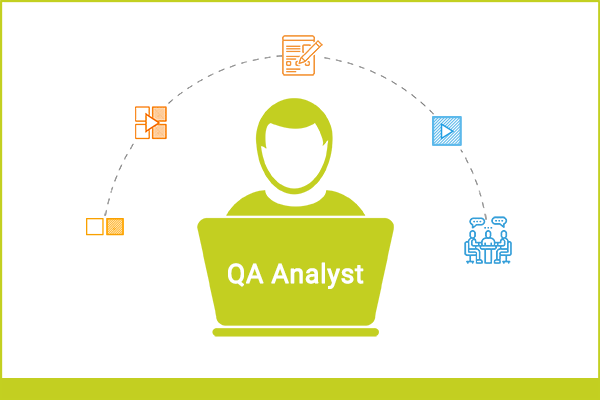 I am looking for your post on quality analyst role.